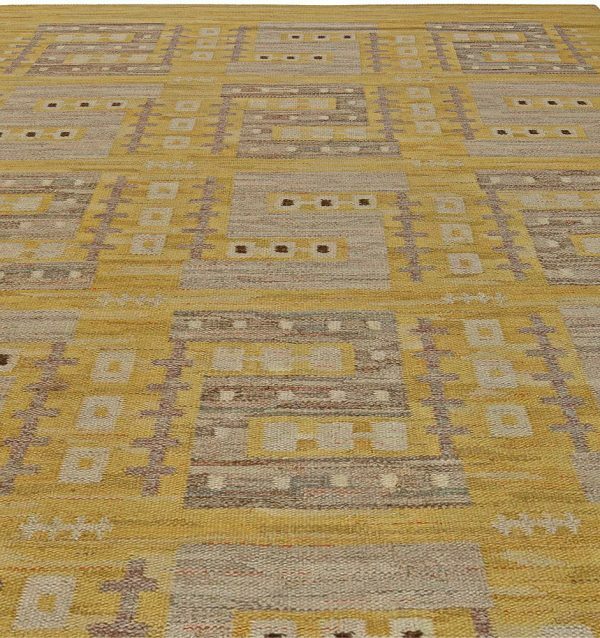 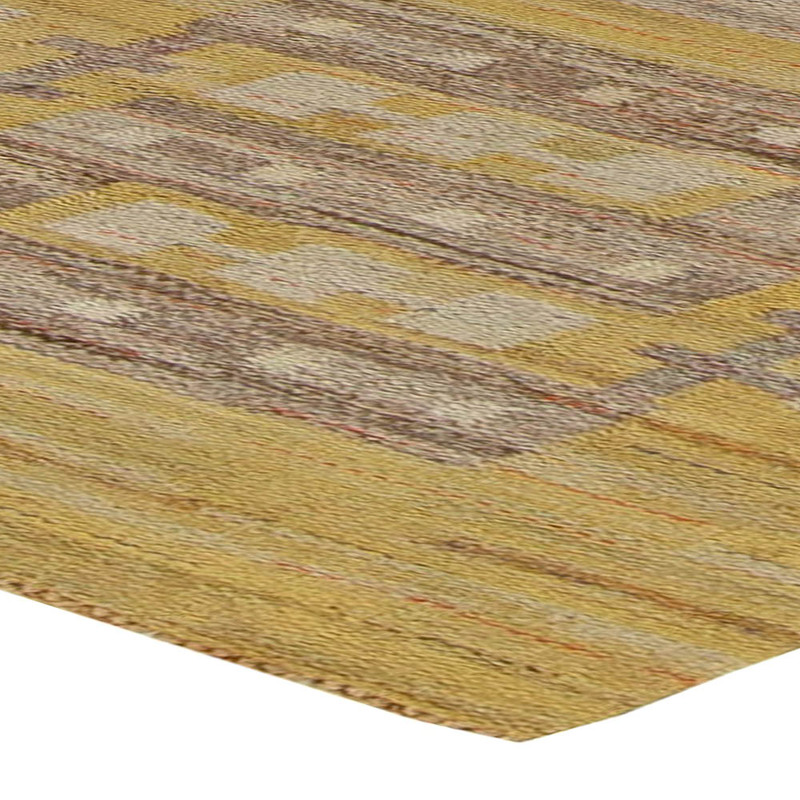 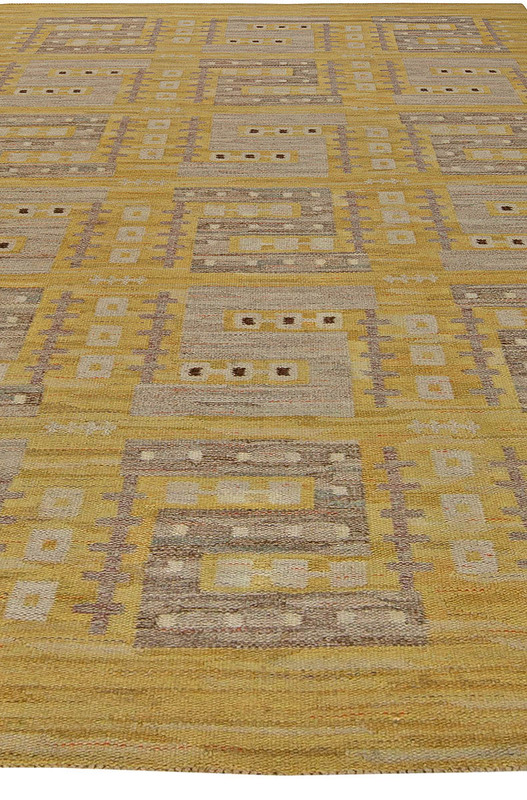 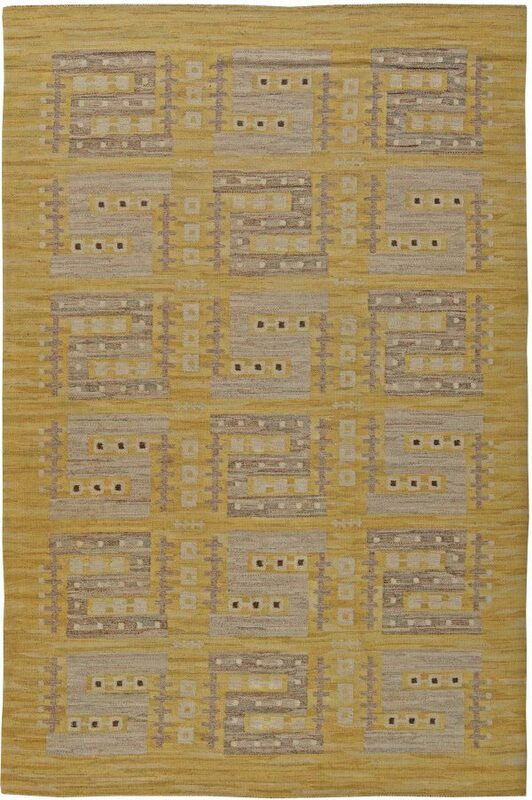 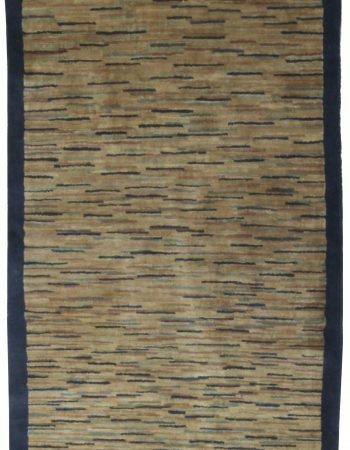 This circa-1935 vintage Swedish wool flat weave rug features an all-over geometric design in neutral colors against a field of sunny yellow. 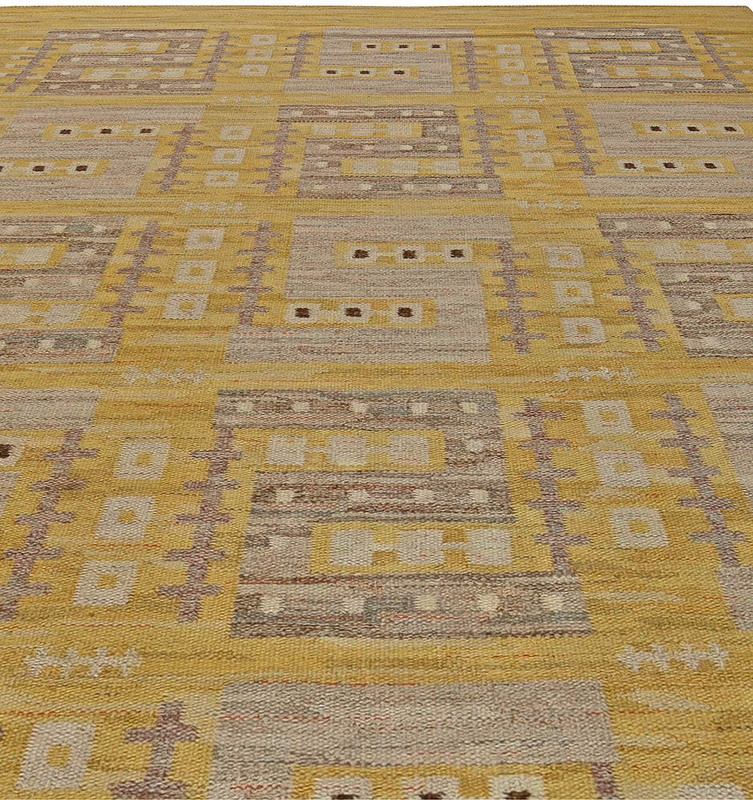 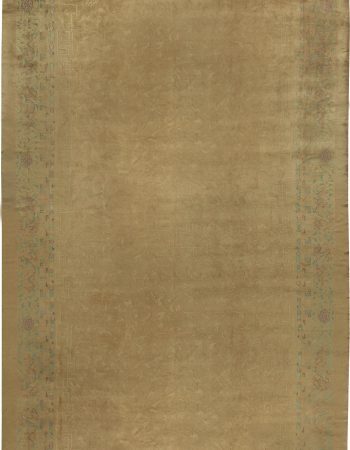 Minimalist and modern, the early 20th century vintage carpet is part of the unique Scandinavian rug weaving tradition. 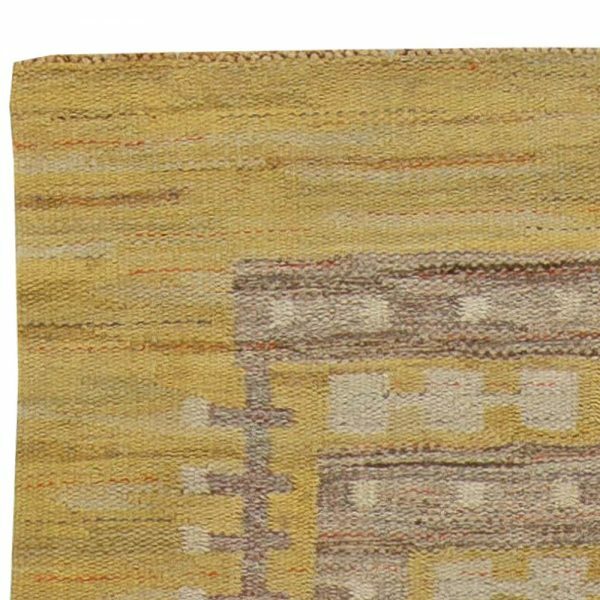 In Sweden, carpets and scandinavian style rugs have been hand-knotted in wool for centuries, taking on many different forms and functions over the course of time. 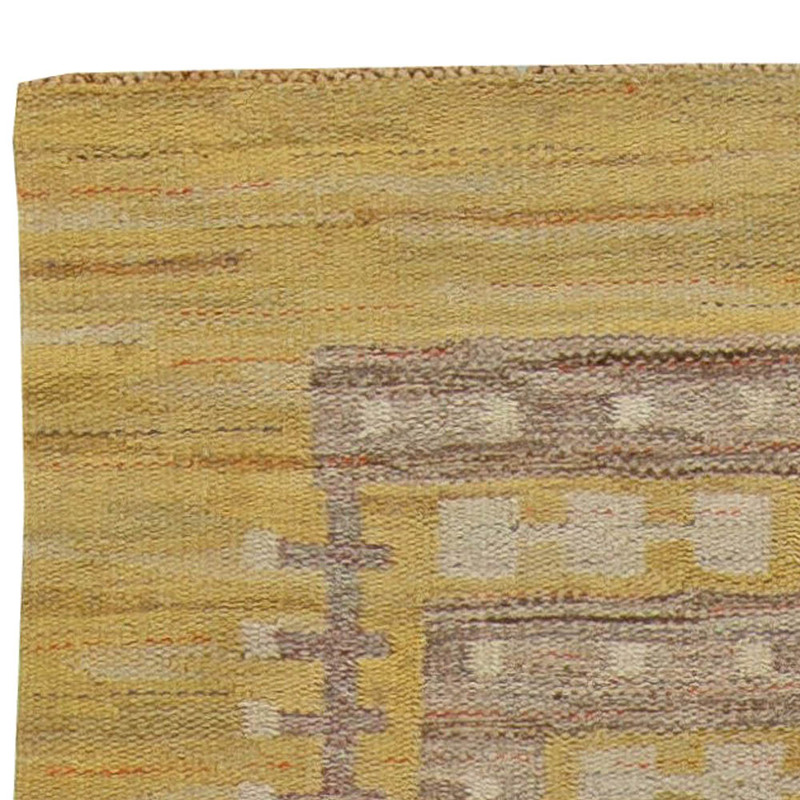 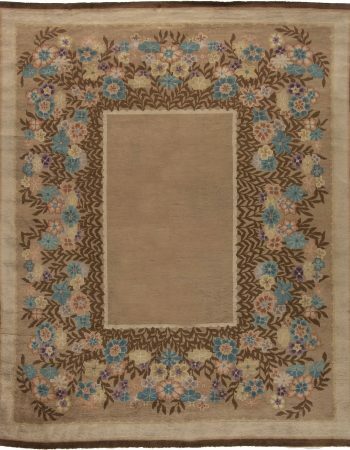 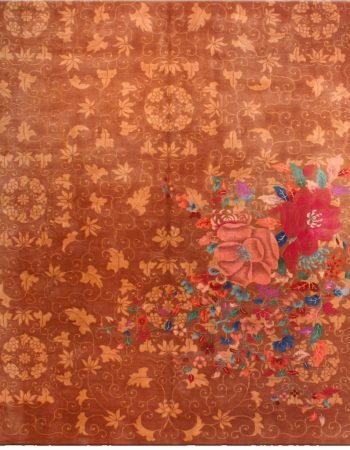 By the beginning of the twentieth century, the craft was seen as being an important artistic and cultural practice throughout Sweden, and designers began to make vintage area rugs that had a broad international appeal. 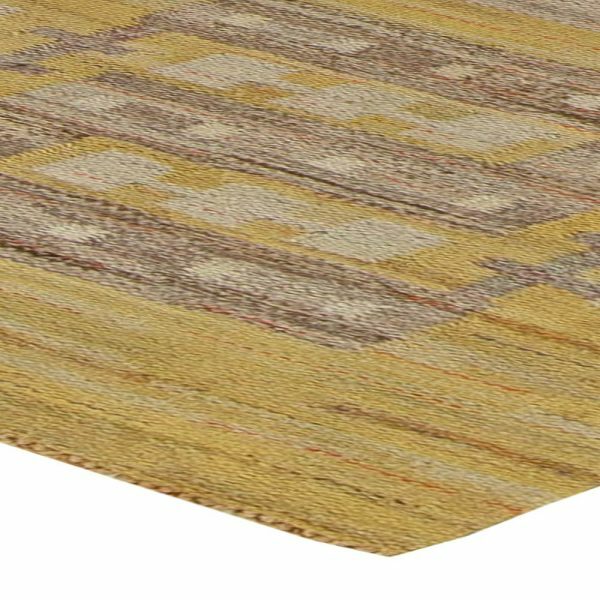 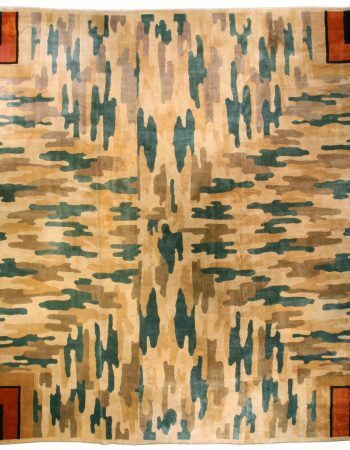 Scandinavian antique oriental rugs from the mid-twentieth century, endorsed by such fixtures of modernism as Le Corbusier, Ray Eames and Frank Lloyd Wright, remain among the most desirable and sought after in the rug world.